I am inspired. 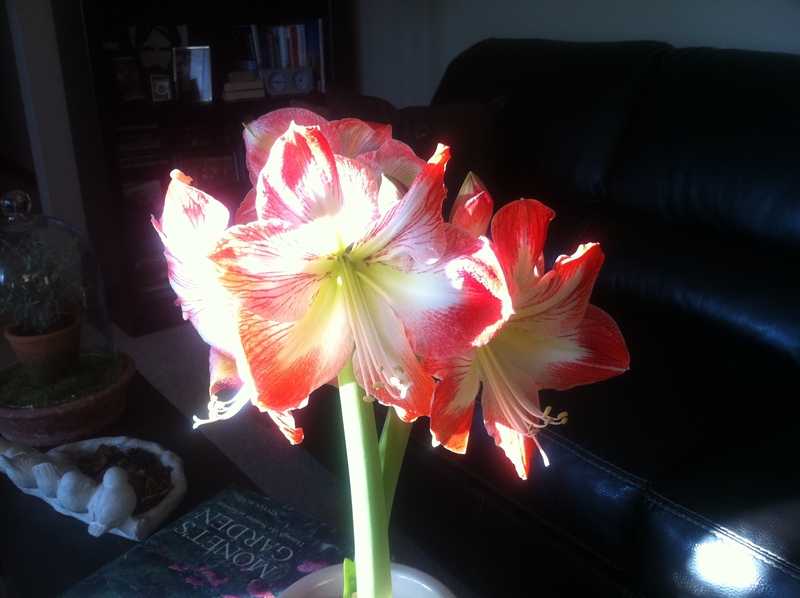 While I have given dozens of amaryllis as gifts, I’ve never grown one. I think it might just be time! You will love growing them. A lot of return for minimum effort! Lovely, I plant bulbs for the holidays. I like things natural. Have a good Sunday! 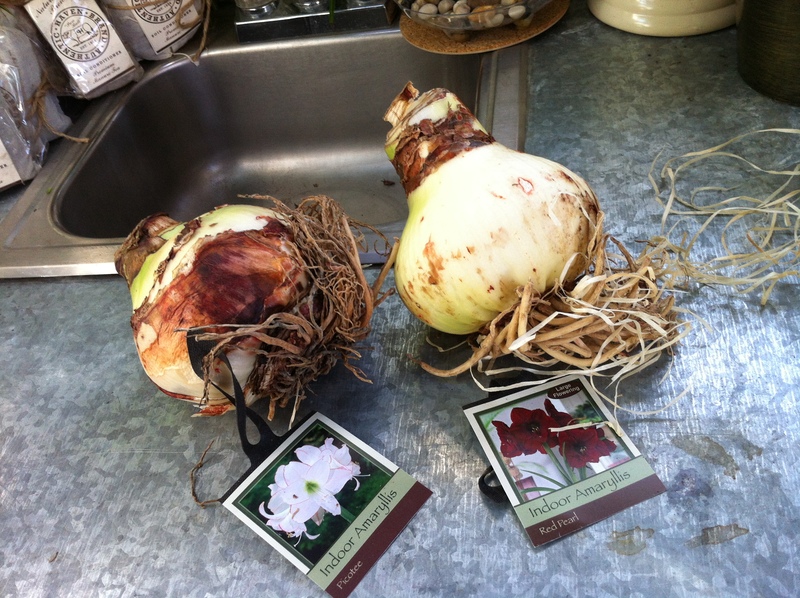 I look forward to seeing pictures of your bulbs! 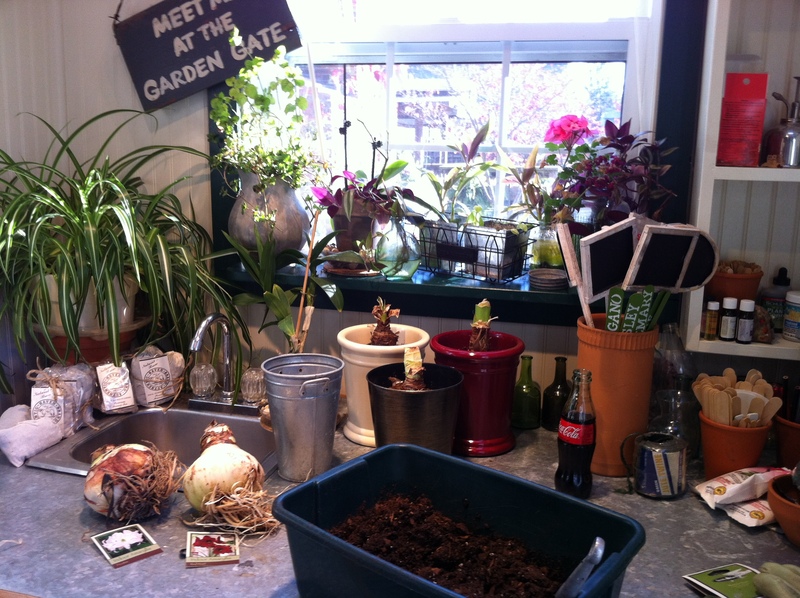 What a wonderful way to extend your growing season! Those bulbs are huge! Check them out at Country Harmony. They have a ton of different varieties! Brava, Teresa! One of my favourite flowers! I’ll have a buy a couple bulbs and hope they bloom in time for Christmas. 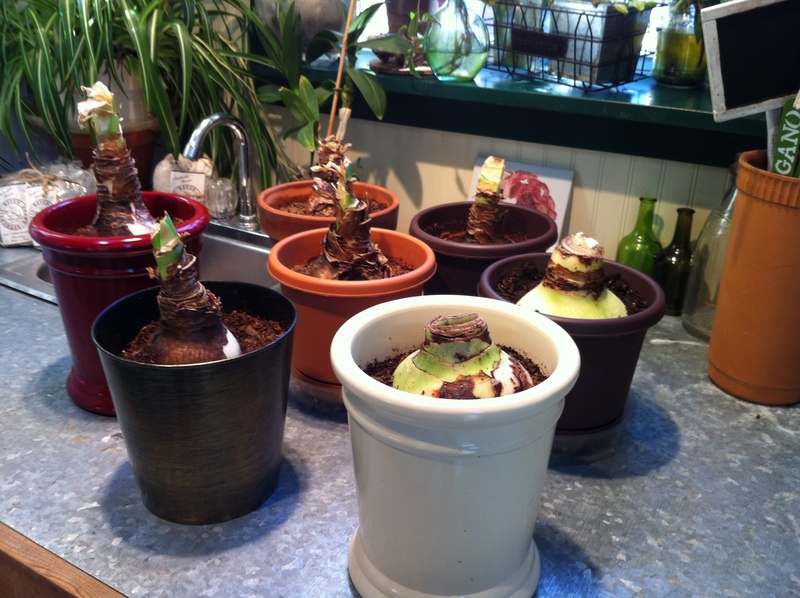 I was late in letting the stalks dry on my old Amaryllis bulbs and now I’ll have to keep them in the cellar for a full 3 months before taking them out to bloom again. Enjoy them!! Here there are sure welcome on cold, dark days!